I have been enjoying Megan Gordon’s new cookbook Whole Grain Mornings. The recipes are enticing. Since purchasing the cookbook, I am also following her blog site A Sweet Spoonful. This muffin recipe is found on her blog. The base for these muffins starts with a pudding-like mixture that results in a finished product that is very moist. Megan adapted her recipe from the British baker, Dan Lepard, who calls his recipe Chocolate Custard Muffins. The combination of chocolate and rye flour is scrumptious! 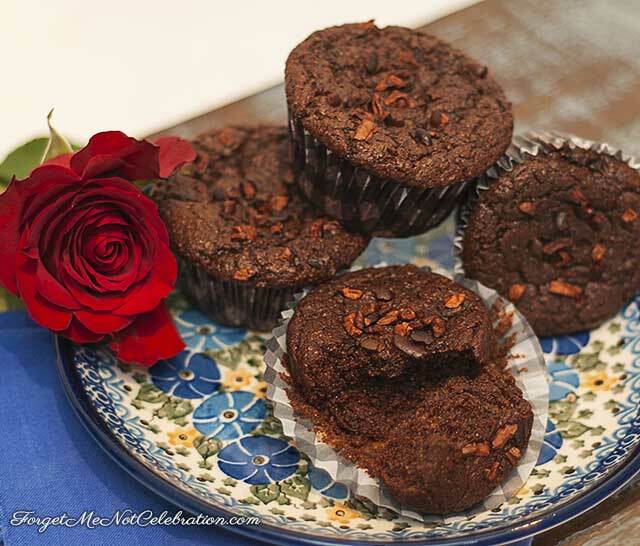 If you are in the mood for a fudgy chocolaty treat, these muffins will certainly satisfy. For complete ingredients and recipe instructions go to Megan’s blog site.